Sad story of how a man met his untimely end at the hands of angry villagers in Umuoji area of Anambra state. 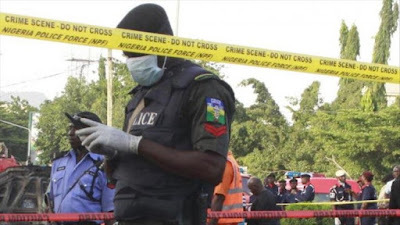 The deceased identified as Paschal Chinazor Onyilo, who was a sound/music operator and even worked for the Anambra government, was wrongly labelled a kidnapper and beaten to pulp before he finally gave up the ghost. The villagers quickly mobilized themselves, came back and confronted Paschal. They didn’t give him a chance to explain himself and pounced on him immediately, beating mercilessly. 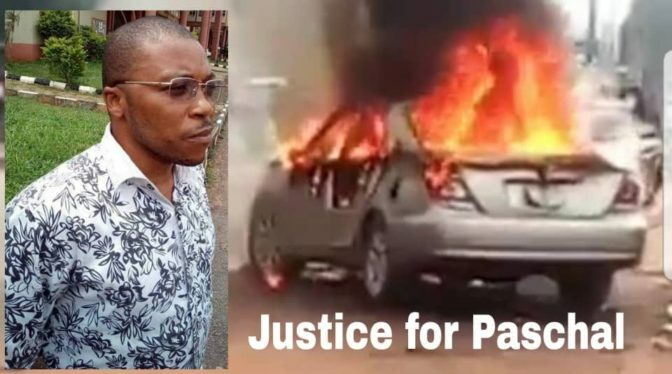 His car was also set on fire before he was rescued by the police. By the time help came, Paschal was already unconscious and he was taken to Iyi-Enu Hospital, Ogidi. He was alive after an emergency surgery and was able to narrate what happened to the police and others that visited him in hospital.